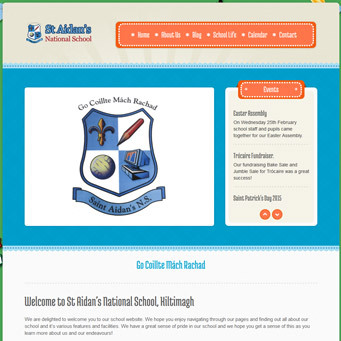 St Aidan’s is a local national school. They wanted a bright, attractive, colourful site which would act as a resource for current and new parents alike. They wanted the ability to add galleries of school activities, upload regular newsletters as well as allow staff to add news and notifications about their own particular class. The site needed to be a one-stop shop for all information about the school, its policies and ongoing activities.